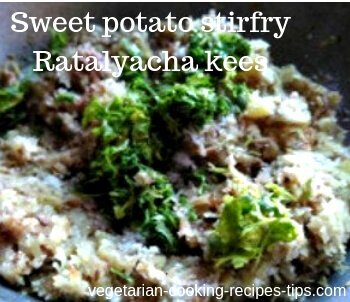 Ratalyacha kees or grated sweet potato stirfry is a Maharashtrian recipe of stir fried sweet potatoes. This is a upvas, vrat / fasting recipe. 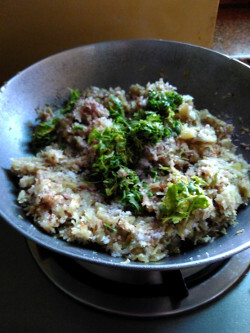 It is a favorite of many, so it is made at other times too for breakfast or as a snack. 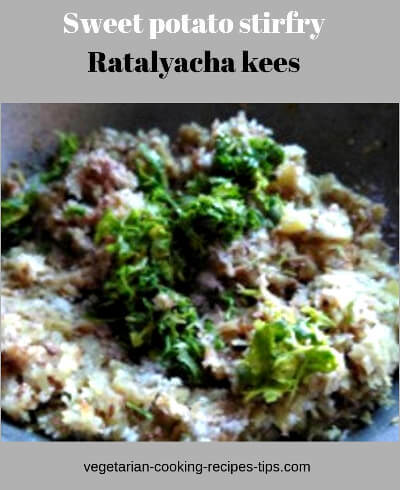 Sweet potatoes or ratalu / ratali cooks quickly so this is a good one for breakfast. 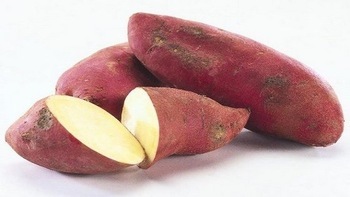 Wash and clean sweet potatoes. 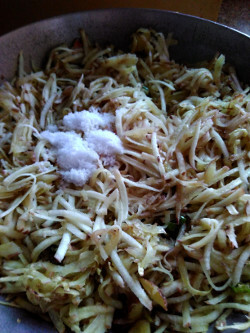 Grate ratalu or sweet potato. You may use a large hole grater. 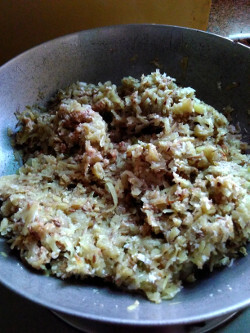 I used my food processor. Heat oil in a thick bottom pan. When oil is hot, add cumin seeds and let them splutter. 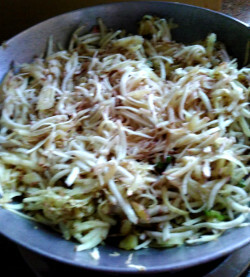 Add chopped green chilies or chili paste. Fry for a few seconds. Add the grated sweet potato. Mix well and cover with a lid. Cook on low flame for 3-4 minutes. 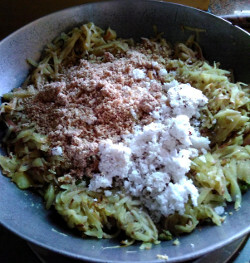 Add powdered roasted peanuts and freshly grated coconut if adding. Cook covered on low flame. Check and stir after 2 minutes. 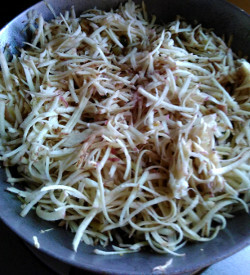 Sweet potato / ratalu should be cooked soft by this time. Add chopped cilantro / hara dhania. You may serve it with a small bowl of fresh curd/yogurt.